Yes, I love owls , but I must say my bunnies are x times more precious! Today's creation is super cute. I made a pillow owl box. Yes! That's right! Owls can be cute not just scarry! So, check my cute owl below. Really lovin' it! The fun part about this creation is that I only used a few dies and the result it's just amazing and adorable. 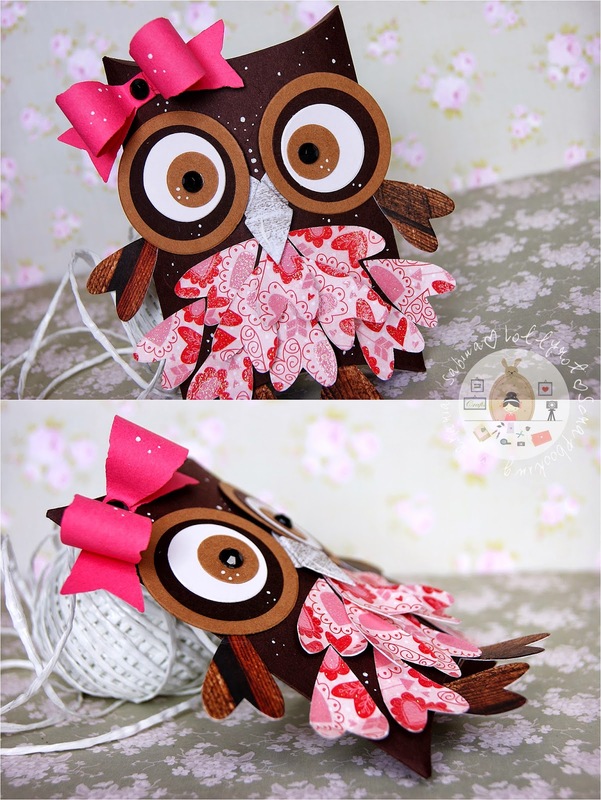 Love the many paper layers leading up to the cutest owl I think I have every seen! Just precious, Maria!